Economics teacher Joseph Hauser attended our Right Start program in 2010 and it has since changed the way he thinks about economics! For 14 years Joseph has been been teaching students on a variety of subjects, including Economics, Government and U.S. History. Joseph earned his Associate’s Degree in Business Administration from Harrisburg Area Community College in Harrisburg, PA, as well as his Bachelor’s Degree in Composite Social Studies Education and Master’s Degree in Church History from Bob Jones University in Greenville, SC. 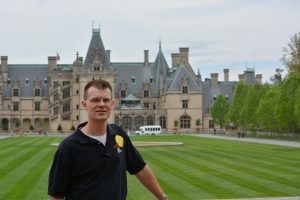 In addition to his studies at Bob Jones, Joseph has participated in courses at Clemson University and Furman University.